Essentially an extra glass room on your house, conservatory windows are important considerations for effective blinds to ensure you have effective heat control for your home. Millennium Blinds recommend fitting separate blinds in each window panel to help maintain the style of the conservatory as well as offering the very best opportunity to manage light from the constant changing direction of the sun. Pleated, Roller and Perfect Fit blinds are an ideal choice for conservatory blinds. Some fabrics can be treated with specialist solar reflective coatings, helping to keep the room warm in winter and cool in the summer. Opting for a 20mm pleat will help keep the blinds neat at the top of the window when fully open. Our conservatory blinds can be made in a variety of shapes and sizes so are ideal for complex conservatory shapes. We can also offer a honeycomb fabric with blackout backing which acts like a solar duvet, helping trap air between the glass and blind. Call for a free no obligation consultation on 02920 621111 or to view samples at our showroom in Cardiff just call in today. A range of colours and fabric choices to suit almost any space. For helpful advice and even more ideas on the perfect home finishes come and see us at our Whitchurch showroom at 70 Merthyr Road Whitchurch, Cardiff CF14 1DJ. You can find our blinds shop here. 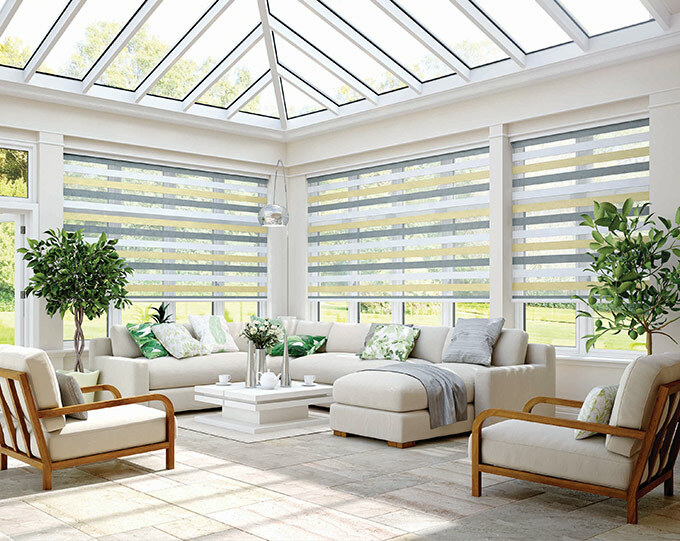 We stock the very biggest and best brand names in all makes of velux blinds, vertical blinds, roller blinds, venetian blinds, roman blind, conservatory blinds and plantation shutters so you can be assured of the very best quality and fit for your home. 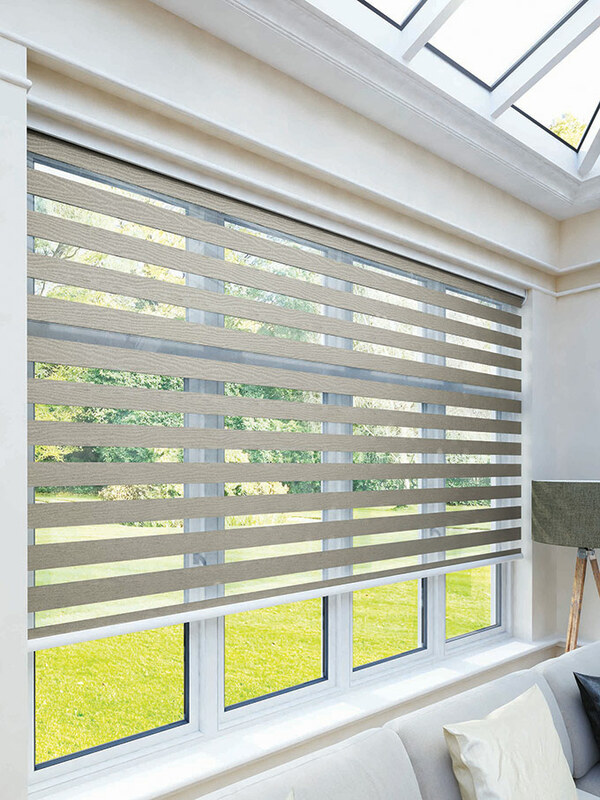 Millennium Blinds Wales are supply blinds for both residential and commercial properties in the Caerphilly, Cardiff, Pontypridd and South Wales area. We offer a friendly, professional and quality service. Call for a free no obligation consultation on 02920 621 111 and let us find the perfect window blinds for you. Copyright © Millennium Blinds Wales 2019. Millennium Blinds Wales, 70 Merthyr Road, Whitchurch, Cardiff CF14 1DJ. Registered in England & Wales 07627497.